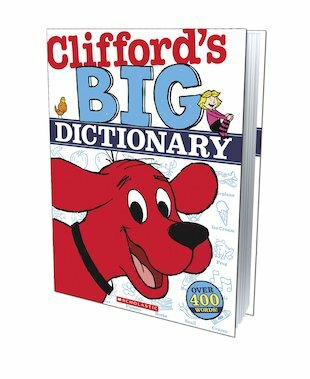 The Big Red Dog’s colourful guide to words and their meanings. This picture dictionary uses cute cartoon pictures and simple sentences to teach you over 400 common words. Each word is shown with its own adorable picture (often starring Clifford himself), plus a short example phrase. It’s great for school, and you’ll love the extra sections: numbers and colours, opposites, the body, vehicles and Clifford’s very own Big Ideas!